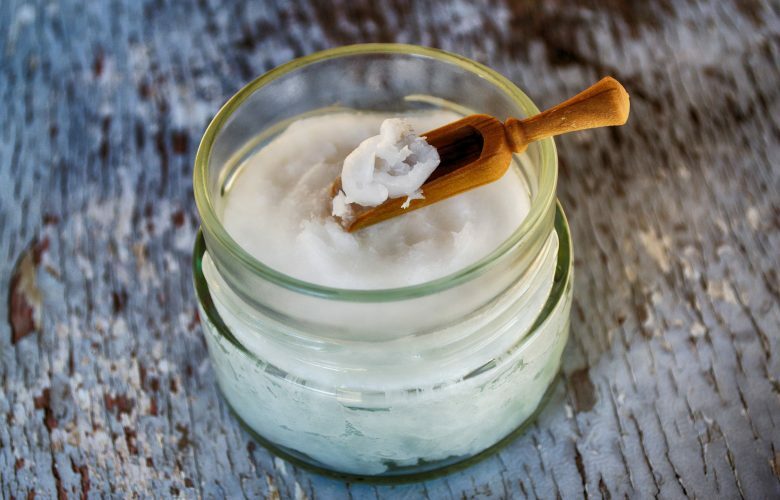 Why Coconut oil has so many benefits: The many health and beauty benefits of coconut oil are because of its components which include Lauric acid, Capric acid, Caprylic acid, Linoleic Acid and Oleic acid. Lauric acid is the same compound that can be found in breast milk. And we all know that breast milk is full of nutrients and disease -fighting ingredients. It also contains Vitamin-E and Vitamin K and minerals such as Iron. Benefits of coconut oil are many depending on whether it is taken internally or externally. Benefits of coconut oil when included in diet. Weight Loss: Coconut oil contains short and medium chain fatty acids that help in taking off excess fat from the body, so helps in reducing weight. It helps in healthy functioning of the thyroid and enzymes systems. It is easy to digest and increases the body metabolism by removing stress, thereby burning out more energy and helps in reducing weight. Coconut oil has anti ageing properties and improves skin quality: Ingesting coconut oil helps in improving skin texture and makes it more glowing. Coconut oil contains antioxidant which helps to protect against ageing as well as heal and repair damaged skin. Coconut oil also stimulates thyroid function and helps cholesterol to be converted into anti-aging steroids that lower the risk of cancer and heart disease. Coconut oil help in improving digestion: Coconut oil helps in improving the digestive system so helps to prevent various stomach and digestion related problem. Coconut oil contains saturated fats that have anti microbial properties and helps in dealing with various bacteria, fungi, parasites, etc. which causes indigestion. Strengthens Immunity: Coconut oil strengthens the immune system as it contains antimicrobial lipids, Lauric acid and Capric acid which have anti fungal, antibacterial and antiviral properties. The human body converts Lauric acid into Monolaurin which is claimed to help in dealing with viruses and bacteria causing diseases such as Herpes, Influenza, Cytomegalovirus and even HIV. Preventing Heart Diseases: Coconut oil contains large quantity of saturated fats, so many people thinks that coconut oil is not good for heart. But truth is that coconut oil is beneficial for the heart. It contains about 50% lauric acid, which helps in preventing various heart problems including high blood pressure and high cholesterol levels. It also reduces the incidence of injury in arteries and therefore helps in preventing atherosclerosis. Liver: Coconut oil acids helps in preventing liver diseases as they contain medium chain triglycerides and fatty acids which are easily converted into energy when they reach the liver, thus reducing work load on the liver and also preventing accumulation of fat. Bones: Coconut oil improves the ability of our body to absorb curious minerals which are necessary for development of bones. Thus coconut oil is Miranda to women who are prone to osteoporosis after middle age. Benefits of coconut oil when applied externally. Hair Care: Coconut oil is also great as a deep conditioner because it gives natural nutrition to hair. Regular massage of the head with coconut oil ensures that dandruff free scalp. It is a great conditioner and helps in the re-growth of damaged air. It also provides the essential proteins required for nourishing damaged and dull hair. So start massaging hair with this miracle oil and enjoy lustrous locks. Stress Relief: Applying coconut oil to the head followed with a gentle massage helps in relieving mental stress. Skin Care: Coconut oil when applied to the skin acts as an effective moisturizer. It helps in treating dry and flaky skin. The benefit of coconut oil on the skin is comparable to that of mineral oil. Unlike mineral oil, coconut oil does not have any adverse side effects on the skin. It helps in preventing dryness and flaking of skin. It also delays ageing by preventing skin from sagging and formation of wrinkles. Coconut oil also helps in treating various skin problems including psoriasis, dermatitis, eczema and other skin infections. To enjoy optimum benefits of look for only certified and organic Coconut oil, made with fresh coconuts, unrefined, non-hydrogenated and made without heat processing. So plz check the label before purchasing coconut oil. You can easily find it in health food store or any good online food store.